Category Archives for "Fishing Reports"
Mississippi Duck Hunting In South Mississippi Off To A Great Start! Team Brodie Charters out of Biloxi, Mississippi rocks redheads, bluebills, and more during the first leg of the season. April’s Fishing Will Be Superb! View our rates and schedule your fishing trip with Captain Brodie. 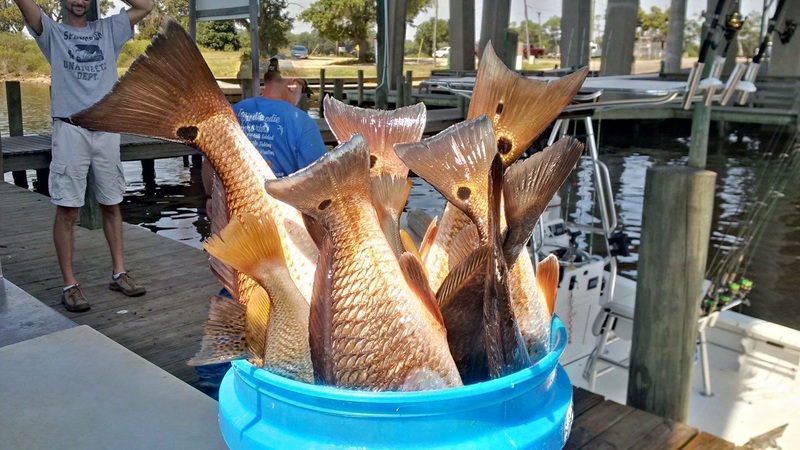 Biloxi Charter Boat Fishing – Bay Fishing Has Been On Fire & Post Hurricane Nate Angling Is Superb Too! Biloxi Charter Boat Fishing – Lots of fish catching action this week aboard Team Brodie Charters with redfish, trout, southern kingfish, and huge jack crevalles providing great light tackle action. Mississippi Charter Boat Fishing Rocks Aboard TEAM BRODIE CHARTERS! Today was the toughest day of the week with northerly winds up to 25 knots, and yes, my crew made another fine catch!